I take the hygiene of my makeup brushes seriously because quite frankly, clean and bacteria-free brushes make for better application and less breakouts. I’ve developed a brush cleansing routine that I follow every week or 2 weeks, depending on the frequency of the usage of my brushes, that I thought I’d share with you guys. So here goes! 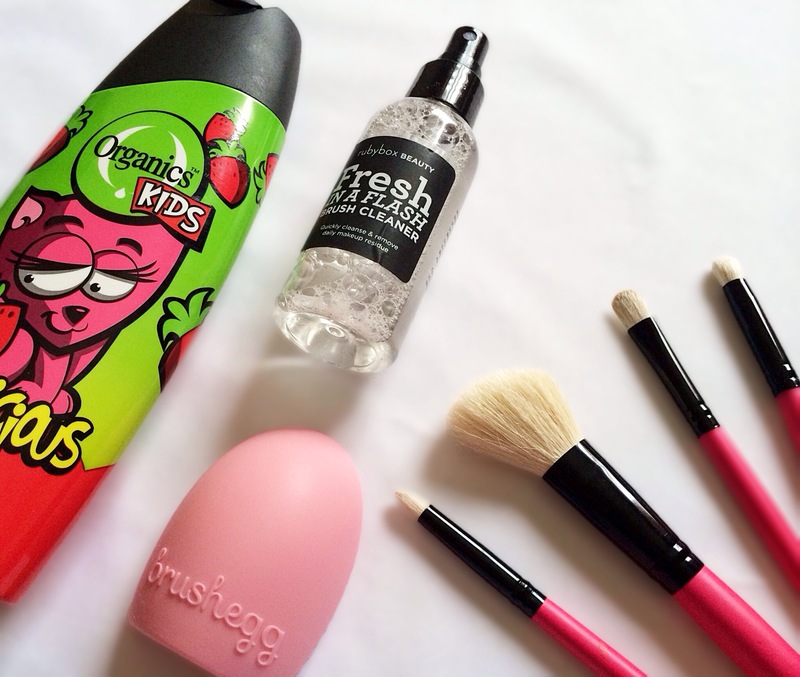 So as I’ve mentioned in my previous post, in between and just before my makeup brush deep cleanses, I use the Rubybox Fresh in A Flash Brush Cleanser which I love and adore and swear by. Unfortunately, it’s only a temporary fix hence the need for the regular makeup brush deep cleanse. But if you don’t have/can’t afford the brush cleanser, that’s okay, just get straight into the deep cleansing. All you’ve got to do is fill 3/4’s of your container/cup with hot water, add a few drops of baby shampoo and mix together with your brush. I’m a huge fan of Organics Kids Strawbelicious Shampoo+Conditioner, it’s mild and gentle and smells heavenly too. Anyway, eventually your sweet smelling and gentle shampoo and hot water will become homogenous, then you shall stop swirling your brush and leave to soak for 10minutes. And once the 10 minutes are up, I usually rinse my brush and swipe it up and down my palm to remove any soapiness or makeup. However, I’ve recently started using the brush egg, instead of my palm and I am loving it! All I do, is just run the brush over the brush egg a few times whilst under the free flowing stream of water – it’s really that simple. 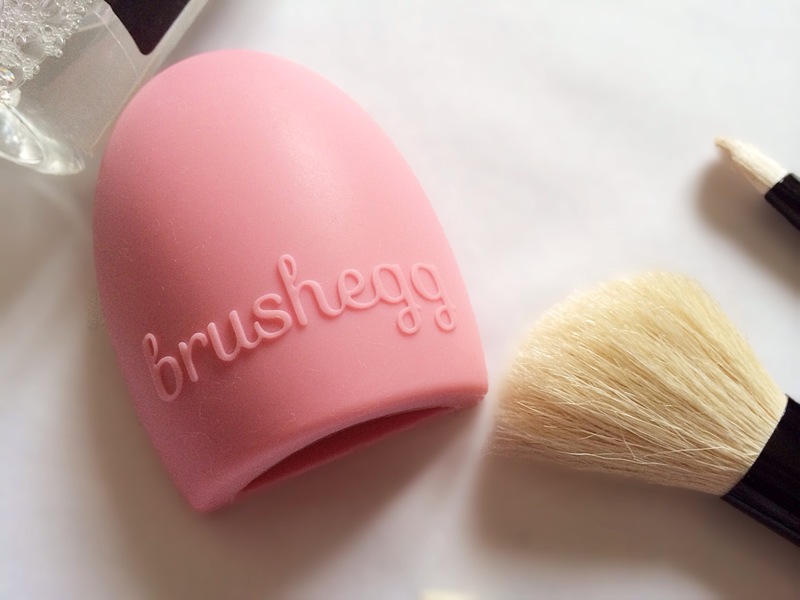 If you’ve never used a brush egg before, it really helps to get in between the bristles and it removes any residue that the makeup or shampoo may have left behind. 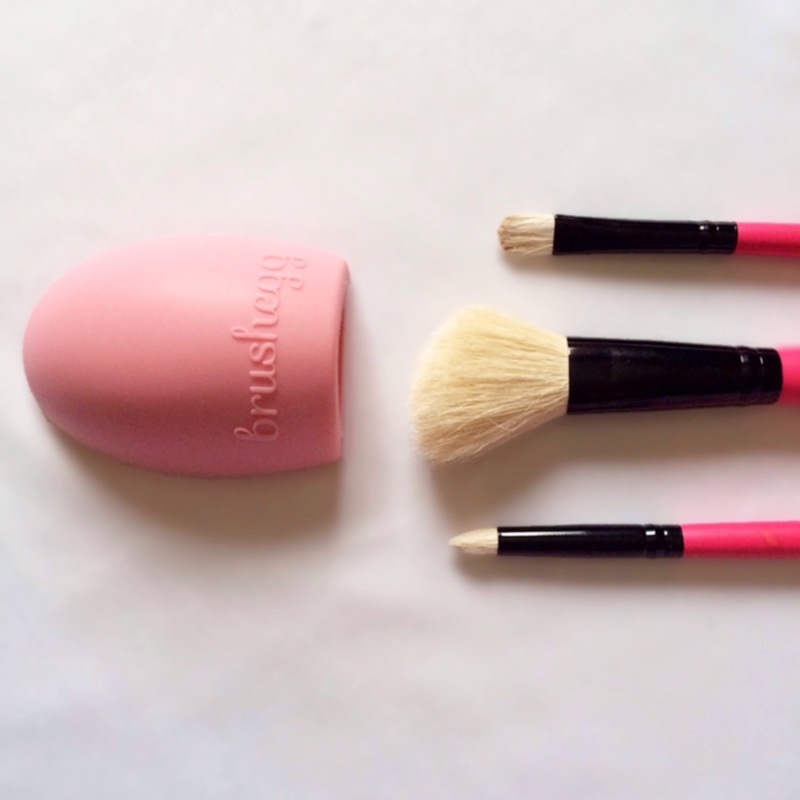 It truly is a wonderful tool and a must-have for any makeup junkie like me! Some people even use it on it’s own, as in no soaking in a shampoo+water mixture, and have seen good results too ( I still think deep cleansing is more beneficial though). I ordered my original Brush Egg from the fairly new Mirror Mirror, you can check them out here and purchase one too if you’d like! And that’s it. That’s my makeup brush cleansing routine which is pretty simple and easy to follow, so I’m hoping I inspired at least a few of you guys to get cleansing! Btw, do lookout for my next OOTD post which will feature the Chinese-collared abaya from Damasq – I’ve been down with a rather unfortunate case of conjunctivitis aka pink-eye, so I haven’t been able to shoot any OOTD posts – it should be up by next week Friday/Saturday!